Miss Lemon was pleasantly surprised at how much she recently enjoyed reading two entries in Caroline Graham's Midsomer Murders series, which feature the worldly Chief Inspector Barnaby and his sometimes surly partner, Sergeant Troy. The duo from Causton CID make their debut in The Killings at Badger's Drift, with Badger's Drift being a quaint little English village not so unlike another fictional scene of murder among the tea-sipping set: Flaxborough. In Badger's Drift, a spinster English teacher on the trail of a ghost orchid spots something among the flora that's far more sensual -- and scandalous. And more than one resident of Badger's Drift proves willing to go to any length to keep Miss Simpson's find a secret. 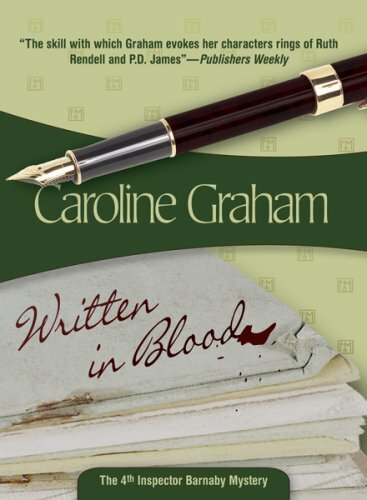 In Written in Blood, the fourth entry in the Midsomer series, the Midsomer Worthy writer's group gets more material than it ever could have hoped for after one of its founding members is found bludgeoned to death after a key meeting. What binds both of these novels together, beyond the recurring characters, is Ms. Graham's clever way of revealing the dank and twisted recesses that accompany the human condition. Everyone in these stories, it seems, has something to hide -- if not something of which to be outright ashamed. Ms. Graham also has an exceptional sense of humor, and quite frankly, a gift for delicious satire. Whether she's skewering the absurdities of post-modern theatre (viz, Brian Clapton's "Slanghwang for Five Mute Voices" in Written in Blood) or Mrs. Barnaby's complete and total lack of culinary skill, Miss Lemon promises you that you will laugh, aloud and often, while reading her work. Cats and dogs also make excellent characters in the Midsomer series. The author makes an Irish wolfhound and a stray cat called Kilmowsky come more vividly to life than entire casts of characters featured in weaker novels that Miss Lemon has read. 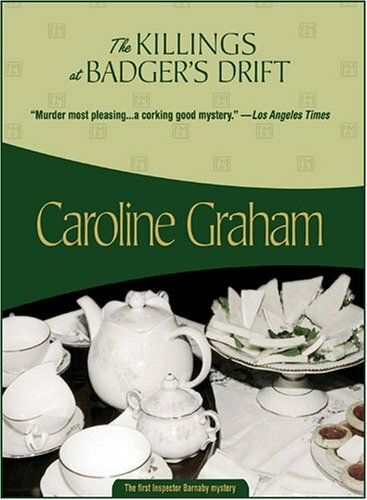 In sum, she thinks that if her readers enjoy a cracking good murder with their afternoon tea, then they will enjoy just about anything by Caroline Graham. In Agatha Christie's version, titled A Pocket Full of Rye and published in 1953, the dainty dish that's set before the king is a cup of poisoned tea. The king, in this case, is the financier Rex (she's sure the allusion won't escape you) Fortescue, and the poison is taxine, the byproduct of the leaves and berries of the yew tree. As every bookish child knows, more verses follow the two quoted above, and Mrs. Christie, true to form, makes sure the trail of murder falls right in step with the rhyme, if not reason, of Mother Goose. 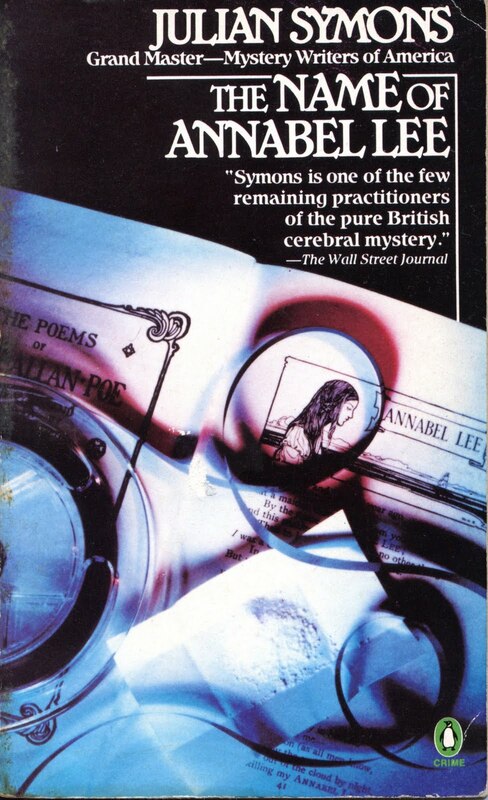 A Pocket Full of Rye is -- in Miss Lemon's estimation -- a neat and clever little mystery, made all the more intriguing by the rare appearance of Miss Marple outside the gates of St. Mary Mead. A personal involvement with the maid "hanging up the clothes" draws Miss Marple to Yewtree Lodge, trailing with her a fantastic string of village parallels which she uses to help Inspector Neele tie up this puzzling case. Miss Lemon couldn't think of a cosier way to pass a rainy Sunday afternoon than with A Pocket Full of Rye. "In every club there is a club bore." Has a truer or wittier opening line ever been written? Indeed, she feels that one can find one of the cleverest beginnings of all time among the opening pages of Agatha Christie's 1948 detective novel, Taken at the Flood. The fact is that from this rousing starter, the novel only gets better. The club bore in question is one Major Porter, late of the Indian Army. Mrs. Christie continues: Major Porter "rustled his newspaper and cleared his throat. Every one avoided his eye, but it was no use." Ah, one can't help but feel the same sense of captivity -- the dread certainty that one will be regaled with a monologue of such colossal dullness that escape to quiet sanctuary becomes the impossible dream. No one listens to Major Porter as he drones on about his neighbor, Gordon Cloade, blown to bits in an air raid, and the woman he'd married -- quite unexpectedly and late in life; no one cares. Major Porter paused. Nobody displayed any interest or asked him to continue. Newspapers were held up sedulously in front of faces, but it took more than that to discourage Major Porter. 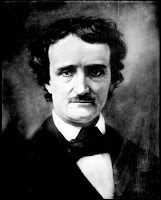 He always had long histories to relate, mostly about people whom nobody knew. No one seems to care, that is, except one M. Hercule Poirot, the sole auditor among this unwilling audience -- the only one who has the grey cells limber enough to perceive that the details of the saga being recited may one day prove significant. And that's exactly what happens when the extended Cloade family, a breed of decaying gentility, find themselves embarrassingly dependent upon the new Mrs. Gordon Cloade, who survived the bombing. When a stranger turns up in Warmsley Heath who might perhaps be the original Mr. Underhay -- and then is murdered -- there's plenty of motive and opportunity to go around. And plenty of skeletons that want airing from the family cupboard. 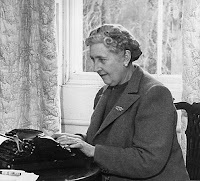 Miss Lemon thinks that Agatha Christie nears the height of her powers in Taken at the Flood -- with characterization, with verbal repartee, with setting and scene. This should also be counted among her most tightly plotted novels. Elements of disguise, mistaken identity and the frailty of first appearances add to the narrative intrigue. 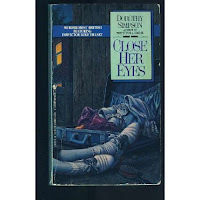 A clever framework on Mrs. Christie's part, as the tragedy of the Cloade family begins to look quite Shakespearean indeed by the close of the novel. Miss Lemon's only quarrel with Taken at the Flood is the final scene -- a superfluous resolution so sentimental that Miss Lemon shudders to recall it. But as it has nothing to do with the commission or solution of the crime, Miss Lemon can overlook it. She trusts the reader will do the same. Now if you will please excuse Miss Lemon, she must get back to her filing. "Anything that she mentioned as worth consideration usually was worth consideration." 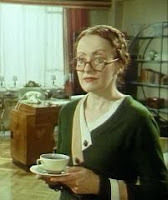 Were Miss Lemon, Agatha Christie's paragon of organization and efficiency, not employed as private secretary to two of the world's top detectives, one can't help but think that she'd make a librarian, nonpareil. Even if her appearance is a bit severe, Miss Lemon's judgment is impeccable; her reason unshakable. What she may lack in imagination, she more than makes up for in exacting good sense. In short, Miss Lemon is a woman who errs almost never and who can be relied upon always. She's even set plans afoot to patent the perfect filing system. Connoisseurs of crime fiction fist make Miss Felicity Lemon's acquaintance in Parker Pyne Investigates. 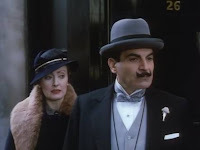 But it's Hercule Poirot (that perennial student of human psychology) who sums her up so smartly in Hickory Dickory Dock: "She was never ill, never tired, never upset, never inaccurate. [...] She knew everything, she coped with everything." Who better to turn to when one needs a good mystery recommendation? But fiction being what it is -- and Agatha Christie's detective fiction, especially, being so unforgettable -- Miss Lemon will be forever fixed among the pages of Poirot's phone messages, client calling cards and case files and Mr. Parker Pyne's statistics. Even so, it's not difficult to imagine the library of crime fiction Miss Lemon would amass if given the proper resources. Her first-hand experience with the masters of armchair detection has doubtless developed a palate for only the choicest whodunits, which she will periodically recommend in "Miss Lemon's Mysteries." Next time, she promises to take on the work of her own creator in her review of Taken at the Flood (1948). Of course, if in the interim one feels the urge to read up on the redoubtable Miss Lemon herself, one should look no further than the above-mentioned Parker Pyne Investigates (1934) or the equally good Hickory Dickory Dock (1955). You'll also see her in Dead Man's Folly (1956) and the aptly-named Elephants Can Remember (1972).